City University of Seattle is partnering with the Seattle Foundation again this year for GiveBIG. Non-profits throughout the Seattle area ask their donors for support during the annual 24-hour campaign. We hope you’ll consider a one-time gift to support CityU Scholarships during this year’s campaign. You can pre-register your gift, so you can even make your donation today! Make your gift now … or learn more. Make your fiscal year-end gift by June 30th! Ways to support CityU students! Give Online – You can donate online right now. Matching Gifts – many employers will match an employee’s donation to an institution or charity. Check with your human resources department to see if there is a matching program at your company. Employer Giving Programs: Microsoft and other major corporations help employees make a difference by supporting their volunteerism, discounting in-kind support, and more. Check with your employer to see how the can help you support non-profit organizations like CityU. 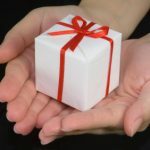 Planned Giving – learn about the many benefits of gift planning. Both current and future gifts can offer tax advantages, investment income, and the realization of your charitable legacy to CityU. Securities – gifts of securities or other appreciated assets may have tax advantages. Employee Campaign – faculty and staff of CityU can take advantage of the convenience of payroll deduction. Microgiving – support CityU students when you shop with your favorite retailers. Select City University of Seattle as your designated charity on the Amazon Smile program or with iMyne. CityU is a 501(c)(3) nonprofit. Any amount you donate will help us achieve our mission and is tax-deductible to the amount permitted by law.